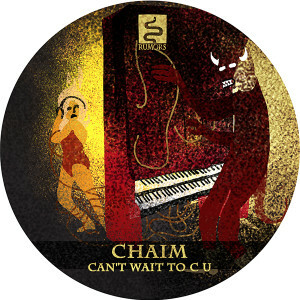 Having made his label debut for 'Blue Shadow', as well as delivering its inaugural podcast, 'Since I Met You', fellow Israeli DJ and producer Chaim returns to Guy Gerber's RUMORS imprint to present his follow-up EP, 'Cant Wait To C U'. Scheduled for release on June 1st, 'Cant Wait To C U' caps an impressive year for Guy's hybrid label-party concept. Launched in the spring of 2014, RUMORS has quickly become renowned for its discerning approach to the electronic music scene that focuses on providing quality house music built around creativity and exploration - which recently saw Seth Troxler welcomed to the label for 'Evangelion'. Maintaining RUMORS' taste for deep and almost spiritual techno, Chaim's latest EP not only encompasses the label's intriguing release policy but also demonstrates Chaim and Guy's long-standing production partnership. Having produced 8 remixes together, 'Can't Wait To C U' follows a similar blueprint to the pairs previous outputs and sees its title track fuse together down-tempo beats with a soulful vocal hook. The aptly named B-side, 'Cosmology', proceeds with an atmospheric and near-mesmeric approach thats followed by closing track 'Escape Velocity' - rounding off as a sonic and inspired set of tracks that lays the foundations for another exciting year for the RUMORS collective.